The Bradbury Group offers total solutions for your garage door manufacturing needs. 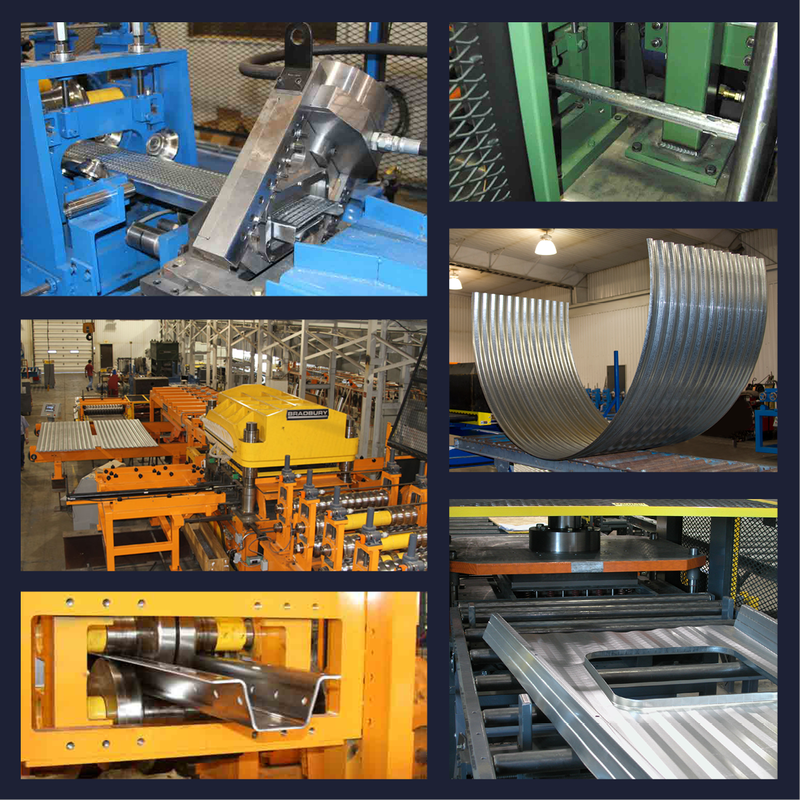 Bradbury designs and manufactures Sectional Door Roll Forming Lines, Slat Lines, Strut Lines, Track Lines, Stile Lines, Angle Lines, Bottom Bar Lines, Continuous Insulated Lines, and Discontinuous Insulated Lines. Increase control, precision, and productivity on your garage door production line by integrating Bradbury's custom-designed Stile Hole Mid Punch and 400-ton HD Cavity™ Press into your existing operation. Alliance Machine and Engraving manufactures metal embossers specifically for your garage door production needs. Rely on Beck Automation to supply an efficient control system for your garage door line; making your production equipment more efficient and profitable. Working together, the companies within The Bradbury Group will bring you what you want, need, and expect from your garage door line. See Bradbury at GEAPS 2018 for Grain Bin Roll Forming Solutions! The Bradbury Co., Inc. provides a complete turnkey integrated solution to grain bin production from a single source. Bradbury engineers and manufactures a premier line of heavy duty, fast, reliable, and accurate roll forming machines and related equipment that form all major grain bin components. Roll Forming line options include: Grain Bin Sidewall Lines, Roofing Lines, Floor Lines, Stiffener Lines, Roof Support Purlin Lines, and Ladder Rail & Rung Lines. Wide range of capabilities like stacking, curving, integrated robotics and laser cutting make Bradbury grain bin lines highly adaptable and productive. Our cutting- edge controls, optional download, and remote system access make our lines precise and durable; producing the highest quality components for the grain bin industry. The Bradbury Group will exhibit at the International Roofing Expo, @RoofingExpo February 6 - 8, at the Ernest N Morial Convention Center in New Orleans, LA. 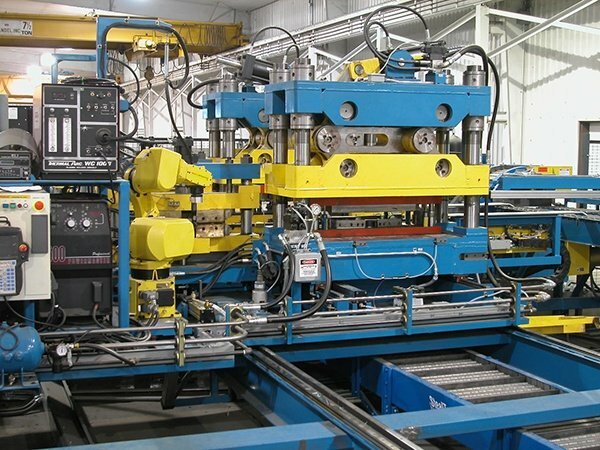 We encourage you to stop by our booth, #1853, and visit with us about our extensive line of roll forming and coil processing equipment for the metal building and metal roofing industry. We will also be exhibiting February 14 - 16, 2018, at the Frame Building Expo in Columbus, OH, at the Greater Columbus Convention Center. Drop by and learn more about our product lines for the frame building industry. 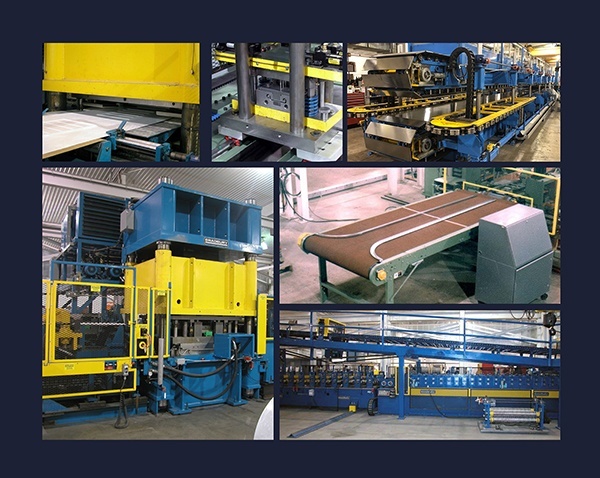 We manufacture a variety of roll formers including panel, purlin, and trim, Bradbury Long Folders, Panther Cub II™ Slitter/Shears, uncoilers, recoilers, hemmers, slitters, portable roll forming equipment, metal tile equipment, gutter machines, continuous and discontinuous insulated panel equipment, embossing and calendaring equipment, and Intelli-Fold®, SII™, and Cobalt™ controls. The Bradbury Group will be exhibiting at several trade shows in April. Click on the links to register for any of the shows to visit us at our booths. The Bradbury Group will be exhibiting at Frame Building Expo 2016 in Indianapolis, Indiana, March 9th through 11th. Stop by and visit with us at booth #527. Stop by to discuss our latest developments in rollforming, trim shop equipment, and other new products from The Bradbury Group. The Bradbury Group will be exhibiting at GEAPS Exchange Expo 2016 in Austin, Texas, February 28th through March 1st. Stop by and visit with us at booth #1852. For more information on Bradbury's Grain Bin Rollforming equipment view our website http://bradburygroup.com/Products/Grain-Bin-Rollforming-Equipment. To register click on the image above or go to http://www.geaps.com/exchange/16/ . The Bradbury Group will be exhibiting at IRE Expo 2016 in Orlando, FL, February 17-19. Stop by and visit with us at booth #2327. To register click on the image above or go to www.TheRoofingExpo.com. Use promo code XTK148 to receive free admission to the exhibit hall. 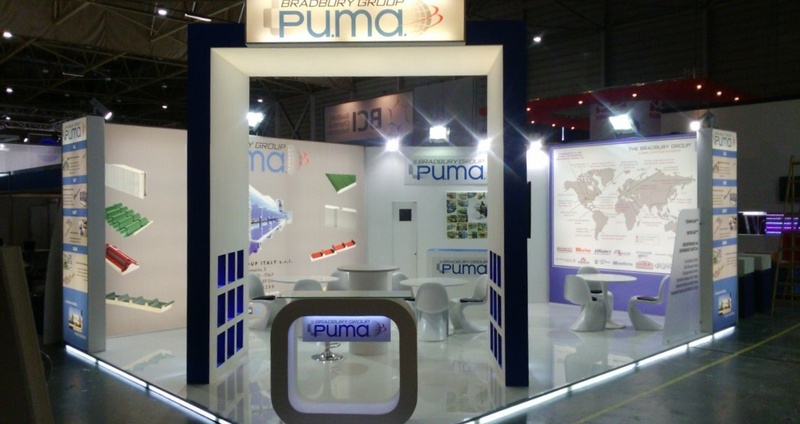 The Bradbury Group of companies will be exhibiting at Expo Alacero 2015 in Buenos Aires, Argentina, November 9 - 11. Please stop by booth #18 to visit with us about our years of experience developing roll forming equipment that manufactures superior components for the metal construction industry.